[SatNews] This event draws high profile global speakers and delegates ...because it is the only event that covers operational experiences and customer application examples from all regions of the world. One of the most eagerly anticipated industry events of the year, the VSAT 2013 Conference (previously known as Comsys) promises to be an even bigger event, bringing more news, speakers and networking opportunities than ever before. 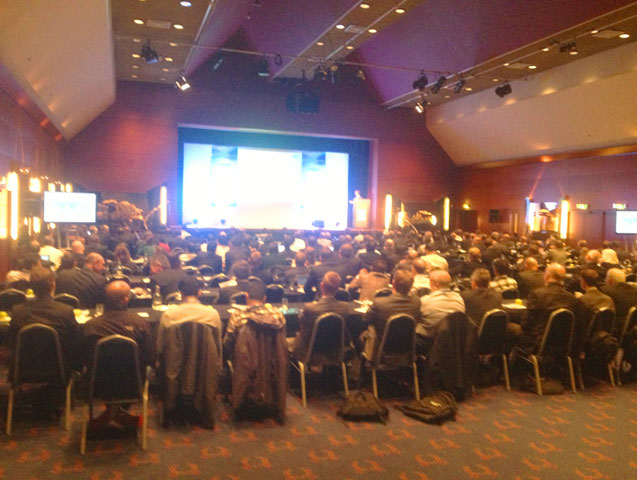 VSAT is an industrial affair of the international level and is held in Amsterdam, The Netherlands. This three day trade show concentrates on various technology development in the recent industrial field associated with the satellite and network sector. It brings forth all the industrial professionals along with the leading brand exhibitors who are going to participate for the wide showcase of highly developed technology and network solutions, industry related products and specialized services. 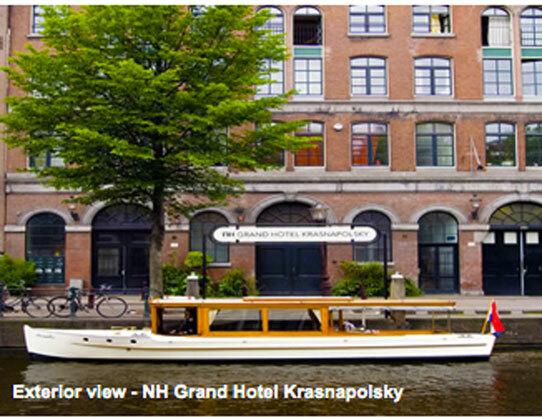 The conference is held at the NH Grand Hotel Krasnapolsky Amsterdam, The Netherlands. The photo on the right is the exterior view of the hotel. In its 15th year, the VSAT 2013 conference is an industry event where partnerships, plans, business strategies and decisions are made amongst the pivotal players in the VSAT industry. This event draws high profile global speakers and delegates from across the industry because it is the only event which covers operational experiences and customer application examples from all regions of the world. Join Simon Gatty Saunt, VP Data and Mobility Services Europe, in the Satellite Operator Keynote session as he discusses the future of hybrid networks and services, touching on aspects of innovation, convergence and the need to create value in the VSAT world of tomorrow. Click here to see the detailed program. The 2012 conference was highly commended for the quality of its speaker presentations, innovative subjects and unmatched networking opportunities. The 2013 event is one not to be missed. Informa Telecoms & Media in partnership with telecommunications consultancy company, COMSYS, have announced the agenda for the 15th Annual VSAT 2013 event, taking place from the 18-20 September 2013 at the NH Grand Krasnapolsky Hotel, Amsterdam. Directly following IBC, the show is expected to attract hundreds of VSAT professionals from across globe for three days of discussion and debate surrounding key issues for the VSAT industry. SatNews' Publisher, Silvano Payne, is amongst this throng of attendees. Sponsors include: Hughes as Principal Sponsor, with Advantech Wireless, Comtech EF Data, Eutelsat, iDirect, Intelsat, Kymeta, Newtec, O3b Networks, SES and STM all confirmed as Major Supporting Sponsors of the show. Other confirmed sponsors include Arabsat, Avanti, Cobham Satcom, Orbit Communications and Gilat. The GVF feature as the Official Endorsing Association for the event, with a 15 percent attendance discount available for members of the GVF. The three-day conference agenda offers presentations, roundtables and panel discussions featuring contributions from the elite in the VSAT industry. Simon Bull, Senior Consultant at COMSYS will kick off the conference with a VSAT Industry Outlook presentation, drawing upon information from his market leading research in the VSAT area. Simon will be followed by C-level speakers from Hughes, Newtec, Eutelsat, SES, Advantech Wireless, O3b Networks, Arabsat, iDirect, Gilat, and Comtech EF Data, in a speaker line-up that is truly representative of the stalwarts of the VSAT industry. Day 2 will focus on VSAT applications, with confirmed speakers including Robert Kubbernus, CEO at Signalhorn, Vern Fotheringham, Chairman and Chief Executive Officer, Kymeta and Rick Hodgkinson, President & CEO at Galaxy Broadband Communications. Robert comments “The VSAT market is evolving. There was a time when VSAT was a domain all on its own, however, today it must fit into a much more homogeneous environment where Terrestrial, Wireless and Satellite share in the delivery of any global network. Figuring out how to collaborate, cooperate and contribute to these complex hybrid networks is critical.” Robert will discuss Signalhorn’s take on the rise of ‘narrowband’ VSAT technology, with a particular focus on the role of VSAT in developing the hybrid telecommunications networks necessary for the deployment of large scale SCADA, M2M and Smart Grid applications. The three day conference agenda will cover the most important topics affecting the global VSAT industry, facilitating an in-depth look at VSAT Vertical Markets and Applications and a thorough examination and discussion of recent trends and innovations. This unique event aims to attract the entire satellite ecosystem from satellite manufacturers to end-users in VSAT vertical markets and new dedicated networking sessions have been built into the program to aid debate and discussion. The show also includes an interactive exhibition, enabling delegates to experience an exclusive showcase of the latest in VSAT technological innovation. Informa Telecoms & Media, provider of business intelligence and strategic services to the global telecoms and media markets derived by its 90 analysts and researchers produce a range of intelligence services including news and analytical products, in depth market reports and datasets focused on technology, strategy and content. Informa Telecoms & Media also organizes 125 global annual events, attended by more than 70,000 executives worldwide.